“Before, there were lots of rain, lots of forest and water available all the time”. Despite being a young woman, Dorikas Jacob remembers how her envirnoment before ambiental degradation and climate change reached Zirai, the community in which she lives at the top of a basin of the Zigi river, in northeastern Tanzania. While the tug of war between international negotiators about climate change keeps going, Dorikas has set herself in motion: she is part of the River committee, responsible for improving the management of naturals resources in the basin. Like her, many people in the zona work to adapt to climate change and ensuring their families and their communities futures. 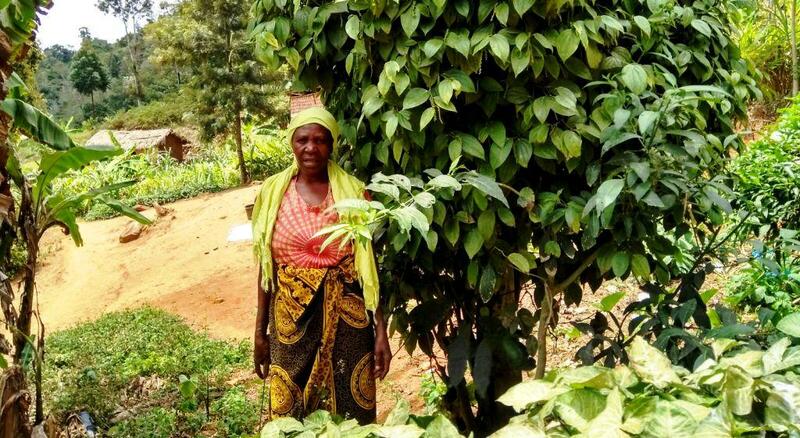 Over 1,100 families are improving their farming skills, incorporating new crops such as pepper or manioc, which adapt better to the new conditions. They do this with the support of the ONGAWA Program which has been implemented since 2015, with the support of the European Union and along our allies in the zone, Tanzania Forest Conservation Group (TFCG) and the District government of Muheza. This program which includes the imporvement of Access to water and the strengthening of communitarian and local institution, counts with the collaboration of the University of Leeds, and the Sokoine University of Agriculture to generate useful knowledge about the adaptation process to climate change of vulnerable communities.